A Bronx man who tried to attack his roommate was shot and killed by officers after he refused to drop a knife, police said Monday. The roommate called 911 late Sunday to report that Paul Goldreyer was menacing him with the knife. When NYPD officers arrived at the home on Rhinelander Avenue, they found the roommate trying to hold off an armed Goldreyer with a bar stool, NYPD spokeswoman Kim Royster said. The suspect then confronted them at the doorway with a 6-inch steak knife, she said. The officers repeatedly ordered the suspect to drop the knife but he instead "lunged at them," Royster said. Two officers responded by firing three rounds that struck him in the chest. The 48-year-old man was pronounced dead at the scene. The argument between the two started when Goldreyer accused the roommate of sleeping with his wife. The roommates had been placed in the two-bedroom apartment by a private social services agency. The department is investigating the shooting. 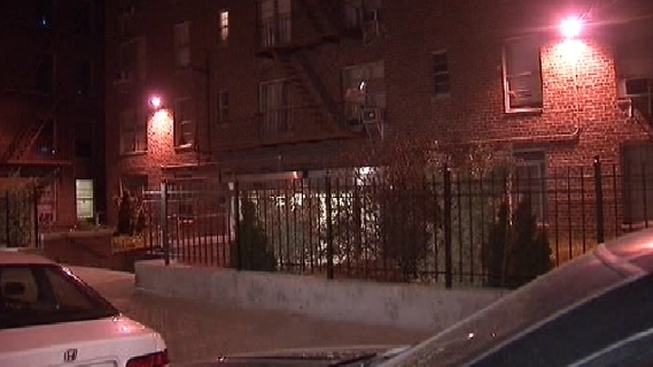 The officers involved work in the 49th precinct; they were taken to Jacobi Medical Center for observation.